Duo consisting of Joseph Kolean and Chad Vickery have teamed up under the name of Newords to complete something of a personal voyage in creativity. The pair have tied themselves to the task of creating and executing 26 short films, one for each letter of the English alphabet. I hadn’t come across this project yet so it was quite refreshing to find, especially given the quality and craft of this particular piece. 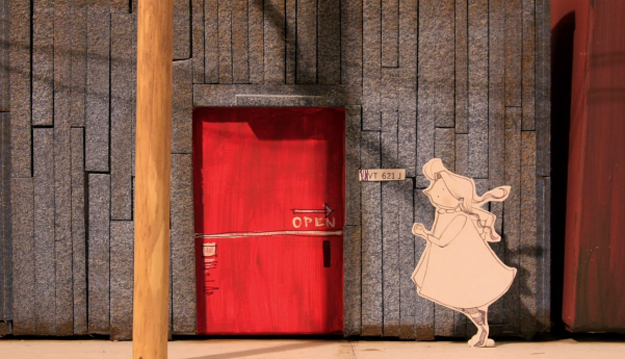 These hand drawn stop motion pieces really do catch me out every time, I’m a bit of a sucker for the detailing and dedication involved. I can’t help but sit back and admire all the intricate details, I’d love to watch how one is pieced together. Perhaps I should give it a go myself one day. Saying that I’m not too sure if the world is ready for my drawing skills, perhaps this task is best left to the experts. I can’t vouch for anyone else but I’l certainly be on the look out for more from Joseph, Chad and their Newords project. For the latest workings and info head towards their blog page.